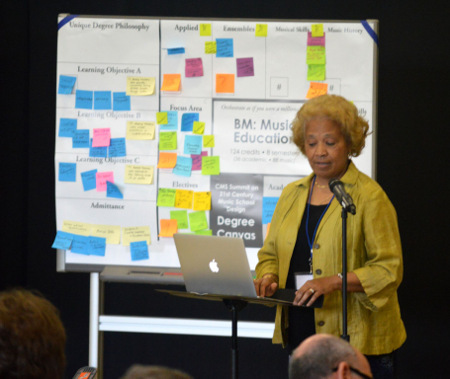 The sold-out Carolina/CMS Summit 1.0 (June 3-5, 2016) convened some 232 music faculty and administrators from every United State, Canada, Europe, and Australia. Click the image to access the program in PDF format. Summit 1.0 kicked off with Aaron Dworkin’s inspiring keynote address, The World that Welcomes our Graduates, considering the critical role that the arts play in shaping communities. 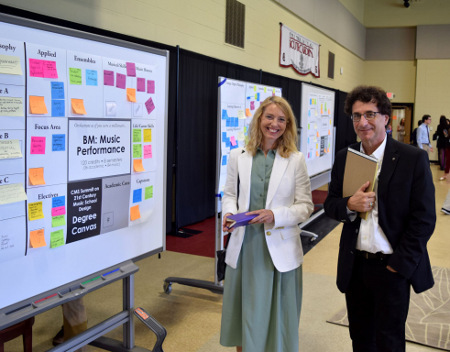 Summit director David Cutler followed with a provocative talk entitled The Problem with Everything We Believe, questioning a host of assumptions at the core of music in higher education. Summit host Tayloe Harding made an impassioned plea called The Necessity, Impact, and Courage of Change. Over the course of the Summit, 48 BIG Ideas (Ted-like talks) suggested a host of progressive solutions. Half argued the value of various 21st-century learning objectives; others considered how we might reimagine traditional activities (courses, auditions, juries, etc.) to emphasize these priorities. 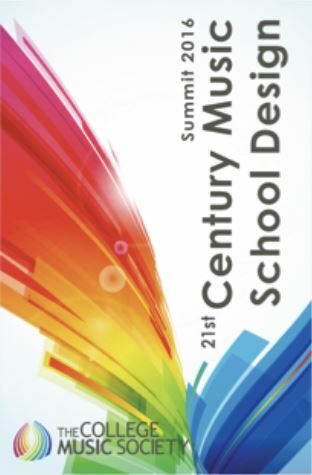 Visit the Past CMS Summits page and select '2016: 21st Century Music School Design' to view the BIG Ideas Library. 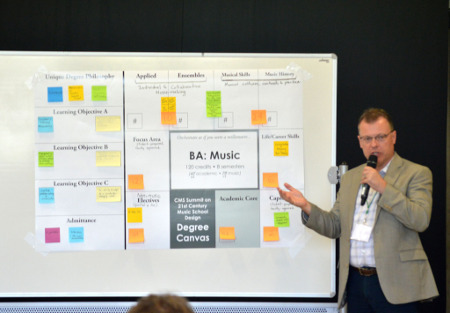 Led through a step-by-step design thinking process, teams used a music degree canvas to guide their thinking. At least 20% had to be “innovative,” 20% “traditional,” and the other 60% was up to them. 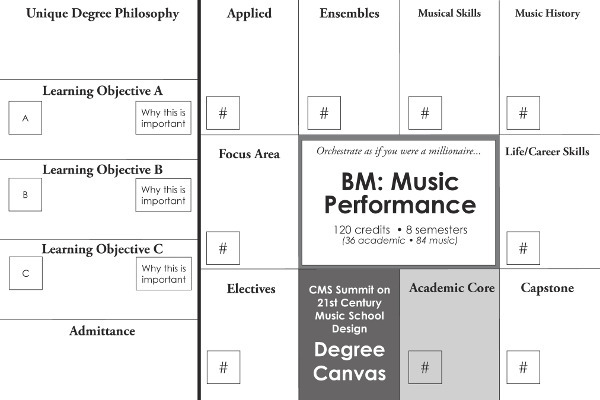 The performance degree canvas is shown below. On the final day, teams presented proposals to the entire community for consideration and debate.